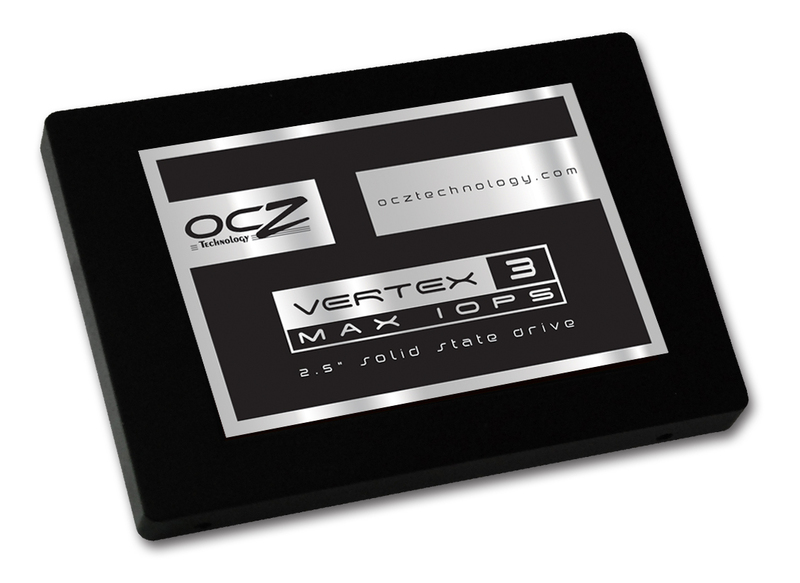 OCZ pulled a fast one and ended up releasing the “IOPS Edition” of their new Vertex 3 Series. What does that mean for you? Well it means several things…. 1. For a $20 dollar premium you can acquire a faster drive. 2. If you want the IOPS Edition you better get it sooner because Venders have been slowly increasing the price of the Vertex 3 Series, and more than likely you will see a bigger gap in pricing between the two. 3. If you bought yourself a Vertex 3 Standard Version you are out of luck here, so feel free to rage. 3B. Now relax and remember that you already have an amazing drive. The Regular Vertex 3 120GB has a 4KB Random Read of 20,000 IOPS and a 4KB Random Write of 60,000 IOPS and up to 16 bytes correctable per 512-byte sector. You will find that the MAX IOPS Edition will give closer performance to that of the 240GB version of this drive, but at the 120GB price. Remember though, you can alter your drive settings for both version of the Vertex 3 to speed it up. This includes enabling AHCI before installing the drive, and actually using the new SATA 3 port are big helpers. The Regular Vertex 3 240GB has a 4KB Random Read of 40,000 IOPS and a 4KB Random Write of 60,000 IOPS and up to 16 bytes correctable per 512-byte sector. Yes that is correct. The Vertex 3 120GB Max IOPS Edition has a higher 4KB Random Write than the Vertex 240GB MAX IOPS Version. I am not really sure why they did this, but ok.
Below, you can view the two Vertex 3 MAX Drives on Amazon. They are are on the left and have red text. Below on the right, the two Vertex 3 Regular Drives. By the way, the Amazon shipment dates are fake and will be updated so do not worry. To Buy the OCZ Vertex 3 MAX IOPS Edition or the OCZ Vertex 3 Regular Edition? If you already have the Vertex 3, do not worry. There will be a noticeable difference for writing lots of tiny files, but it won’t be huge enough to make you feel cheated. If you are planning to purchase a Vertex 3, then adjust your budget and spend the extra $20 for the MAX IOPS Edition. I hope this article helps clear up things. I will provide more information as it comes available. You can order the MAX IOPS Edition 120GB from Newegg. You can also order the MAX IOPS Edition from Amazon. They offer the 240GB Version for pre-order as well. Lock in your price before it raises even further. This entry was posted	on Friday, April 29th, 2011 at 10:18 AM	and is filed under . You can follow any responses to this entry through the RSS 2.0 feed. You can leave a response, or trackback from your own site. Can you clarify something please? The MAX IOPS has up to 55 bits correctable. The Regular has 16 bytes. If there are 8 bits to a byte > 16×8=120. So the MAX IOPS only has 55 and the Regular has 120? Is lower better? I don’t really understand what the correctable does. Winger ECC Correctable is kind of a complicated story with little information available. It is a way of addressing bad sectors on a hard drive. When a hard drive gets bad sectors, it tries to correct them. If it can you are fine, if it cannot, then it saves a small file that indicates for you to never use that sector again. ECC Correctable errors happen from time to time and you generally will not have to worry about them. I hope this clears up some of the fog. The MAX IOPS Edition 120GB is even faster in IOPS over the 240gb version now. OCZ did some really interesting things here. Sometimes they will lower reliability in order to increase performance. Everything should still be very good though so I wouldn’t worry about this factor. Cheers Sam. Clear, concise and very easy to understand. Could it be that they reduced the level of error correction in order to boost performance? Sam, I’m not sure your description of ECC on hard drives is applicable. SSDs are different beasts.